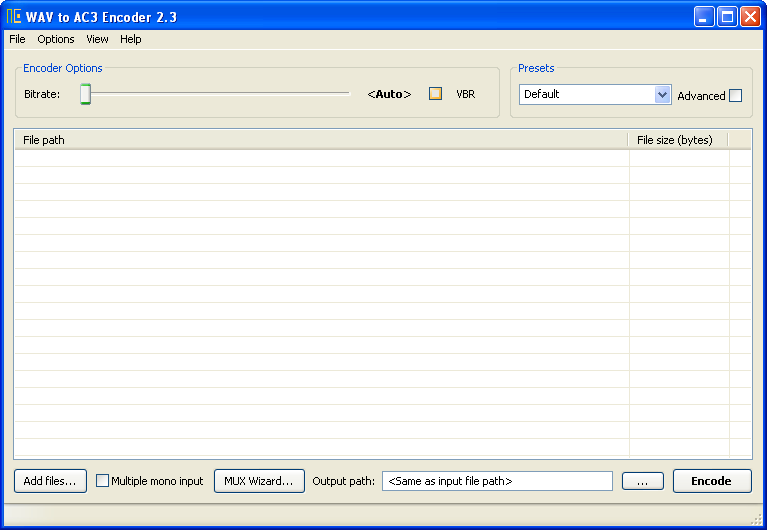 WAV to AC3 Encoder is an audio encoder which generates compressed audio streams based on ATSC A/52 specification. This type of audio is also known as AC-3 or Dolby® Digital and is one of the audio codecs used in DVD-Video content. 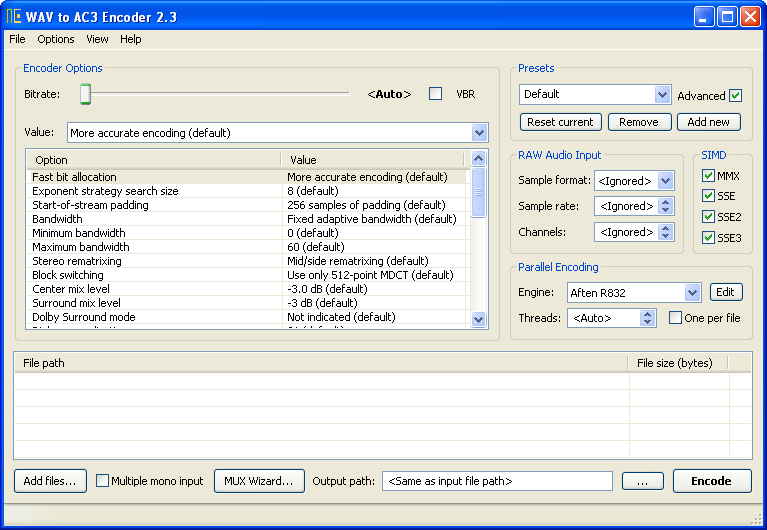 WAV to AC3 Encoder is an audio encoder which generates compressed audio streams based on ATSC A/52 specification. This type of audio is also known as AC-3 or Dolby® Digital and is one of the audio codecs used in DVD-Video content. 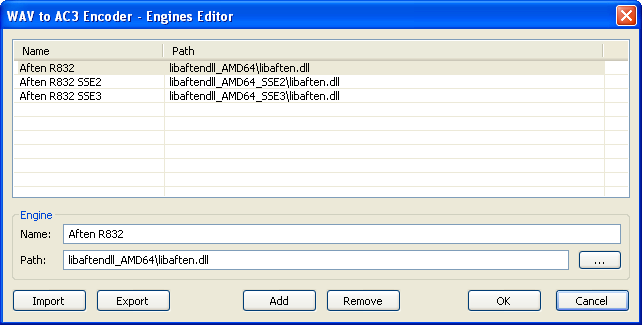 WAV to AC3 Encoder is a GUI for Aften A/52 audio encoder created by Justin Ruggles. WAV to AC3 Encoder project was started at 27 January 2007 by Wiesław Šoltés. There are Win32 (x86) and Win64 (x86_64, AMD64) binaries available. 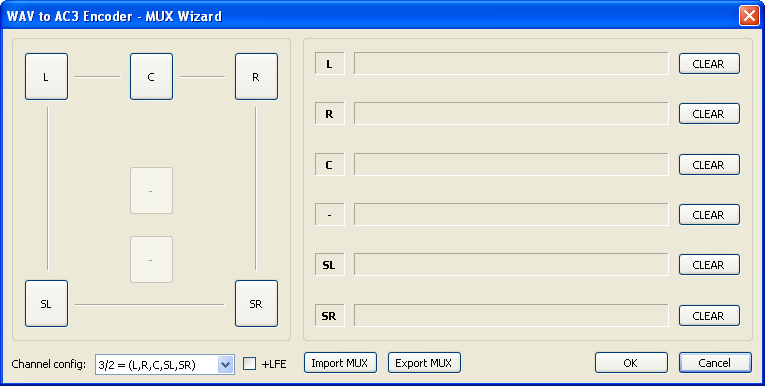 WAV to AC3 Encoder has full UNICODE and ANSI support. The latest sources can be obtained through Subversion. The main developer of WAV to AC3 Encoder is Wiesław Šoltés. Log to a file is now always enabled. Removed command-line options -l and --enable-log. Added more error messages saved in the default log file EncWAVtoAC3.txt.